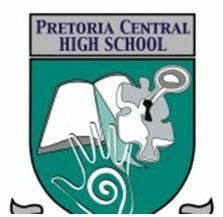 Pretoria Central High School is a high school in Pretoria West. Mr. Hlongwane is the principal. Pretoria High School situated in Pretoria West in Sertvaas street, very close to Pilditch Sport Stadium on the one side and the station on the other side. This is the school where we have Pride Honour Courage and we Serve. The school is new and for 2013 we accommodate grade 8 -11 and in 2014 gr 8 -12. We offer academic learning, sport and cultural activities. We have our own new Netball, Volleyball, Tennis court and Basketball courts, softball field, Athletics and with soccer, cricket and Rugby in the pipeline. We are in news often for Top performers in various activities. If you want good results, you a hard worker and above Motto is your vision this is the place to be. Hi, I work in Pretoria Acardia and stay in Mamelodi so I need to get school for my son, he is going to Grade 8 in 2020, if its not possible for him to get space at your school, please assist. Will also want to know fees per month. Hi, I am transferred to Pretoria gazina so I need to get school for my daughter I am starting on the 1st August 2018, if its not possible for her to get school for grade 12 Please assist me with space next year. Hi, I am transferred to Pretoria so I need to get school for my daughter I am starting on the 1st August 2018, if its not possible for her to get school now. Please assist me with space next year. i tried to get hold of you telephonic ally but i could not reach anyone. i would like to ask if i can submit my child's supporting documents after applying online in july when the schools re open? I want to register my daughter online for 2019 grade 8. What must I do? Hi, we relocating from Secunda to Pretoria my daughter is going to grade 10 when is the registration going to take place and how much is the school fees per month/ annum and also want to know about the subject choices. BURGHERRIGHT PRIMARY SCHOOL,WE ARE LOOKING FOR SPACE FOR NEXT YEAR.PLEASE ASIST US. PLEASE ASIST WITH INFOMATION THANK YOU. I would like to register my child at your school for grade 8. how much is your school fees per month or per year.provide me other information that might be important. what is your matric pass rate ever since you started having matriculents in your school. Thi is home away from Home for me. Your telephone contacts which you provided on the website are neither answered or picked and this is disturbing. I have a child who is not well and cannot call me because phones are not allowed and the school phones are off. Please improve your services. MY DAUGHTER AND I FELL IN LOVE WITH THE WAY YOUR SCHOOL IS HANDLING STUDENTS..SHE WANTS TO APLLY FOR GRD 8. CAN TELL US IF WE CAN APPLY ONLINE OR WE NEED TO DO IT AT THE SCHOOL? Pretoria High Schoolis one of the best schools in town. They have professional and qualified staff. I like the environment of the school as well. Pretoria Central High School has one of the best faculty in town. I have visited many schools but this one looks quite well mainteined and the staff is also very qualified. I have heard a lot about Pretoria central high school, it is really a great institute to study. It is nice that you have mentioned about the contest detail of the principal of the Insitute, it will be helpful for students who want to get admission. Pretoria west high school is a place of teaching and giving knowledge to students. I think such institutions should also be the part of buy essay paper because they have their own importance in our lives. There are many other information about the school like contact number so that if you are interested to get admission then you can contact them. Congratulations to our High and Primary Schools group we are so arrogant of all of you. Gauteng Central prepared a fresh Website For Homework Help clean at the Pretoria High Schools. I am looking for a space for my grade8 daughter in 2015. And would like to know about the registration and study fees. I would like to know if there is space available for a grade ten student? And if there is,which subjects do you offer? And how are the fees? my brother need the space for second semester, 2014.kindly assist. Do you register those who wanna upgrade,if so how much? I'm looking for space for my son GR 9 please assist.